Whether you’re starting a home service business or have been in the industry for a while, there’s no doubt that advice from industry veterans can go a long way. 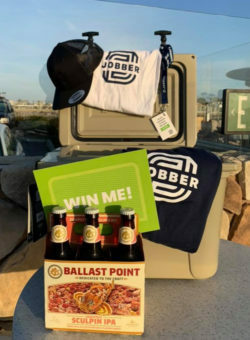 On Friday, March 22, we gathered home service business owners from Long Beach and the surrounding areas at Ballast Point Brewing for a Service Business Meetup to talk shop and address the unique challenges entrepreneurs in diverse home services industries face. We’re sharing one takeaway from each roundtable that you can implement in your business. If you’re interested in joining us at a future Service Business Meetup in your city, follow us on Instagram and Facebook to stay in the loop! Many business owners get stuck in the day-to-day of running their business. ‘Working in your business’ versus ‘on your business’ is a phrase we hear a lot. You need a business plan that outlines your goals for growth and where you want to be. With a business plan in hand, you’re in a better position to prioritize actions and make decisions that promote future growth. For example, actions like focusing on sales and business development rather than working full time in the field. Circulating through the roundtables, with Paul holding an 'Efficiency Strategies' sign. Ever hear yourself saying “I thought you were going to do that”? That’s a sign that you need to clearly define responsibilities. If you find yourself in this position, then it’s likely that there are a few more things not getting done that you haven’t discovered yet. Many people start a business with a co-founder or business partner, and separating roles early on, especially when you make your first hire, helps ensure that responsibilities don’t fall through the cracks or sneak up on you. Yes, it can feel strange at first to outline your partner’s or employee’s roles in a small business. You might feel like you should just be able to talk things out, but remember the growth goals you committed to in the previous section on sales! Did you know that 91% of 18-34 year old consumers trust online reviews as much as personal recommendations? That’s right: the millenials who are always tapping away on their smartphones are now becoming homeowners, and they’re searching for local services and business reviews online. Knowing that, how do you deal with bad reviews? One meetup attendee says he doesn’t engage with bad reviews because if it’s one out of dozens of great reviews it’s not worth his time. 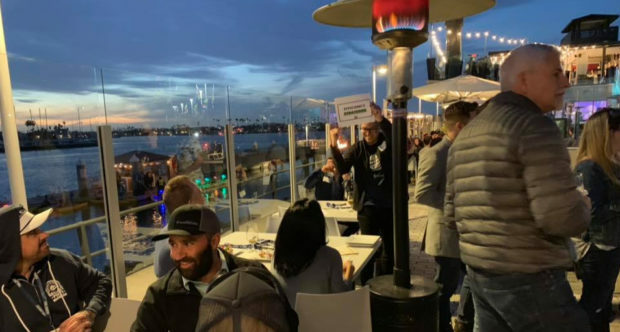 Another attendee in the pool service industry says there is power in professionally responding to a bad review. They said that you can often end up looking like the bigger person by offering a fair solution or an apology. Those are two interesting perspectives to consider! If you’re looking for more ideas then check out our deep dive into responding to negative reviews. We asked meetup attendees to choose a priority to discuss. The struggle to hire great employees in the home services is real.Greg from the Pool Chasers podcast had some great advice for our attendees from his days running Brothers Pool Service. He recommends putting as much effort into marketing to potential employees as you do into marketing to potential customers. When people are job searching and look your business up on social media or the internet, the prospect of joining your team is much more compelling if they see a smart looking uniform, clean vehicles, and equipment that’s well taken care of. Give them a glimpse into what their day-to-day may look like if they join your team by talking about it online. 5. Social media: Get on social media already! One of the biggest takeaways from the meetup was how few people are using free social media platforms to their advantage. People are researching services and reviews online (see takeaway three), so you need to be there too. You can show off your work, and offer prospects a look behind the curtain to help them build trust in your services. Bonus: you’ll also provide a reference point for potential employees (see takeaway four). Before and after photos, helpful tips, and a peek behind the scenes are fantastic ways to share more content on social media with potential customers. If you’re looking for more ideas, check out a month of Facebook ideas for home service providers to help kickstart your posting. Disclaimer: posting to social media takes time which was discussed at the meetup. But, there was pushback from the folks doing social right that it’s worth the extra time. Sometimes investments into areas of your business, like marketing via social media, are well spent when you’re trying to start or grow your service business. We want to see you in our Facebook group and at our next meetup! We like giving away YETI coolers! If we shared everything we learned at the meetup this post would be a novel! 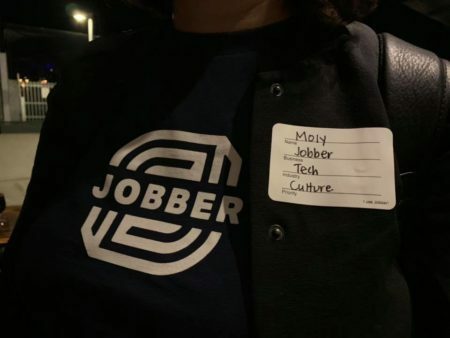 Instead, we invite you to join the Jobber Entrepreneurship Group on Facebook to connect with other business owners, ask questions, and share challenges of your own. You can follow us on Instagram and Facebook to stay in the loop about where and when our next Service Business Meetup will be—and DM us if you want to see us in your city! Looking for more advice from other entrepreneurs? Advice and insights from over 50 industry experts.